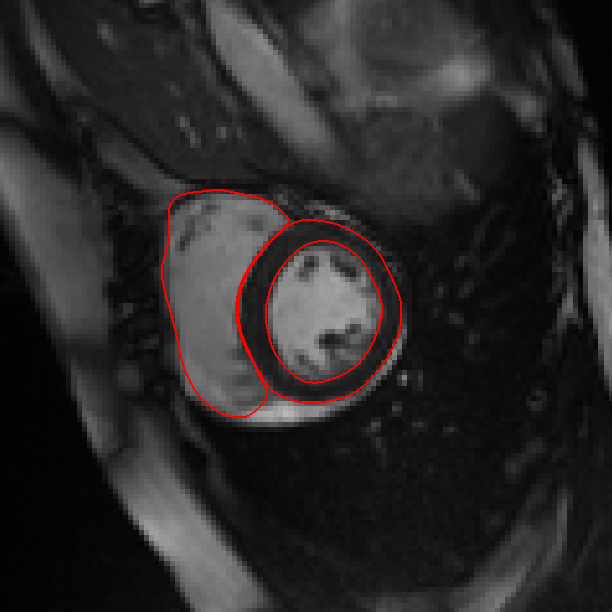 Cardiac Image Multi-Atlas Segmentation (CIMAS) is a pipeline for cardiac MR image segmentation using multi-atlas segmentation method. It assumes that the target image (image under segmentation) shares a similar anatomy as the atlas image (image with corresponding segmentation or label map) and the difference between target and atlas can be described by a spatial transformation. To segment the target image, image registration is performed to estimate this spatial transformation and then atlas label map is propagated onto the target image to form the segmentation. To improve robustness and accuracy, multiple atlases are used in this process. Each atlas acts as an expert and provides a segmentation result. The segmentation results from multiple atlases are combined in a label fusion process. The pipeline requires the MIRTK registration toolkit, 20 3D cardiac atlases and a mean template. Details on how to download these can be seen at the github link on the right. It also requires six landmarks for initial registration. The definition of the landmarks can be seen at the “placing the landmarks” section on this page. The landmarks can either be manually picked using rview or automatically detected using Ozan Oktay’s stratified decision forests. A test data is provided. The instruction on how to segment the test data can also be found at the github link. We hope you enjoy the tool!